CLUBS IN the TT Pro League are likely to be in immediate financial trouble as there is the possibility that the monthly subventions from the Sports Company of Trinidad and Tobago (SPORTT) will be reduced. Recently-appointed SPORTT chairman Michael Phillips, in a telephone interview yesterday, revealed, “right now there has been no agreement in place, for that payment to be facilitated. That is the problem.” Asked if, in the case of no agreement, that things has stopped for now, Phillips replied, “it is something that was being addressed.” He admitted, “in the past it (was) the Sports Company that dealt with those payments of the subventions.” But it seems likely that the subventions will now fall under the purview on the Ministry of Sport. Questioned whether the subventions are likely to be slashed from the $83,000 per month, the former national cyclist stated, “the information with regards to the quantum of support — all of those things are to be made public, all of those things were being sorted out.” Newsday understands that reducing the $830,000 monthly payment for the 10 Pro league clubs is being mulled. 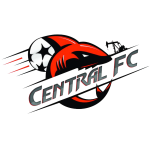 Brent Sancho, managing director of Bankers Insurance Central FC, in an interview last evening, said, “it’s something that will have to take place, discussions will have to take place first of all before we go down that road. To reduce something like that now I think it’s absolutely ludicrous. I agree in having some sort of discussion as to the way forward, whether it is reducing or whether it is finding other ways of assisting the clubs earning a revenue stream. It’s not just as simple as reducing a subvention, you have to look at the holistic picture, as it relates to football in this country. The survival of Pro League clubs, the clubs are the ones that drives and has pushed the national programme. 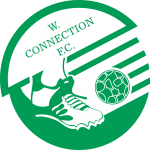 Many of our young players have come from the Pro League clubs. It shows that this industry is a very valuable conveyor belt for our national programme.” How soon may the club get subventions? 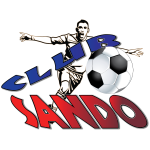 Sancho replied, “for us personally, it is a challenge, it will be a challenge. I know another month without it will definitely mean big trouble for (some) clubs. I’ll be very surprised if clubs survive the Christmas period. I’m very aware that, in some clubs, players have left in exodus to look for employment. So it’s already starting to have an effect. No club in the Pro League is having a go at the Government. We are very grateful for the assistance of the Government. 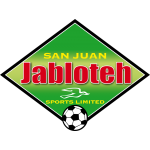 But the challenge we have as clubs is when you have budgeted monies over the course of a year and it doesn’t come, it leaves you in a perilous state.” Jerry Hospedales owner of Play Whe San Juan Jabloteh, earlier revealed that subventions which had not been paid for the last two months were expected to be forthcoming this month. “I understand that matter is solved, I think it’s solved, so I understand. The players understood the rationale of the non-payments of wages. But that matter is now settled, as I understand it. In other words, the Sports Company is making arrangements to have the payments made, but consistent with their own statutory requirements. It’s not a matter I would have concern about right now,” he answered. Pro League clubs face closure by Dec 31. The biggest fear in the T&T Professional Football League may be realised in 14 days. A large number of clubs maybe forced to cease their operations as soon as at the end of this month, if subventions from the government are not paid. 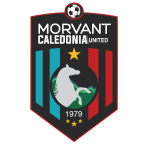 This would mean close to 500 people, including players, coaches, trainers and other club officials being on the breadline, right after the Christmas holidays. All the clubs, with the exception of Defence Force and Police, receive monthly subventions of an estimated $83,000 to help offset the cost of salaries. These subventions have not been paid for the past three months (October, November and December) and the clubs are now concerned about their future. Some club officials have said they had to take bank drafts to ensure players’ salaries are paid. He painted a bleak picture of the financial situation now facing sport in T&T, saying because of the reduction in the price of oil and gas which is now below $40 per barrel, the company has had a drastic cut in its budget by $24 million which means that there will be sacrifices made and major chopping and changing measures will be in effect. He pointed out his company had since been exploring ways to generate income through economies of scale and other means. Raymond told the T&T Guardian: “The board at SPORTT was also recently appointed and apart from the sporting organisations, they have to deal with elite athletes funding etc. 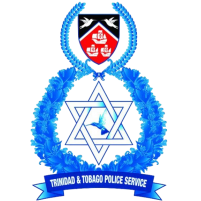 Efforts to contact Dexter Skeene, the chief executive officer (CEO) of the T&T Pro League were futile. The Guardian understands that the monthly operating budget for clubs is estimated at $150,000 which include expenses such as travelling costs, equipment, medical, salaries and other miscellaneous expenses. 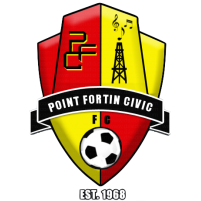 Point Fortin Civic Centre (PFCC) coach Leroy De Leon said his players accepted half their salaries last month and they have begun looking for jobs outside of football to take care of their families. “I cannot tell them not to look for a job because they have their families to look after” De Leon said. 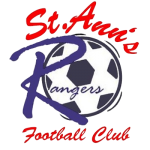 The President of St Ann’s Rangers, Richard Fakoory said at present his club will not be able to function beyond December 31, if the subventions are not paid. He explained that while Rangers is up-to-date with payments of salaries, he will have to repay interest from bank-drafts he took to meet the player’s salaries. 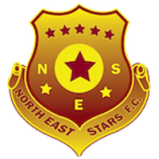 Meanwhile, North East Stars manager Maurice Eligon said his club has also been hard-hit by the non-payment of the subventions, but they have been doing anything they can to ensure they survive. 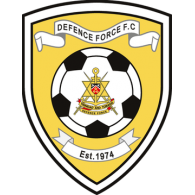 He said: “Our club has been trying for years to get a recreation ground of its own where we can bring in money at the gates and help off-set some of their expenses.” Eligon said. The T&T Guardian made attempts to contact Minister of Sports Darryl Smith on the issue but without success.